DSTRYRsg: Destroyer Submission Grappling and Brazilian Jiu Jitsu: ROGER AND JACARE ON STRIKEFORCE MAY 15 CARD! OK, STRIKEFORCE, WE ACCEPT YOUR APOLOGY. 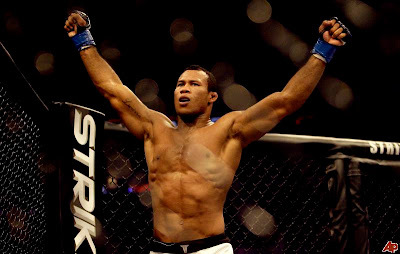 ROGER AND JACARE ON STRIKEFORCE MAY 15 CARD! OK, STRIKEFORCE, WE ACCEPT YOUR APOLOGY. So, the last Strikeforce event sort of lacked in the excitement department. Let's recap: (1) Mousasi looked bored; "King Mo" looked tired, (2) Shields ground out a top-game/single leg-based and pretty boring decision over Henderson and (3) Melendez beat Aoki in a "chess match." Of course there were no submissions, knockouts or even near submissions or knockouts. The whacky free-for-all fight-thing that occurred at the end was actually the most entertaining part of the evening (thanks to Jason Miller). But, Strikeforce has seemingly redeemed itself in our eyes with its upcoming "Heavy Artillery" card. We here at DSTRYRsg really don't care much about the heavyweight match-ups. Bigfoot Silva vs. Arlovski? Not interested. Overeem vs. Rogers? Possibly entertaining, but not too relevant. We are stoked that the card features 2 of Brazilian jiu jitsu's elite: Ronaldo "Jacare" Souza and Roger Gracie. To make things even better, Strikeforce has made very good match-ups for each (i.e., Jacare vs. Villaseñor and Roger vs. Randleman). Here's hoping for some highlight-worthy submissions! War Jiu Jitsu! Good analysis of the last card too. I agree w/ DstryrSG. Excited to see these elite BJJers in the mix. But then again, I was excited to see Shinya Aoki and Jake "Pillow Hands" Shields and we saw how exciting that went. Exactly, Bondo. But, Shields has a track record of fighting that way. Aoki was poorly matched with Melendez. Strikeforce should have given him a stand-up guy or another grappler if they wanted to showcase his abilites. 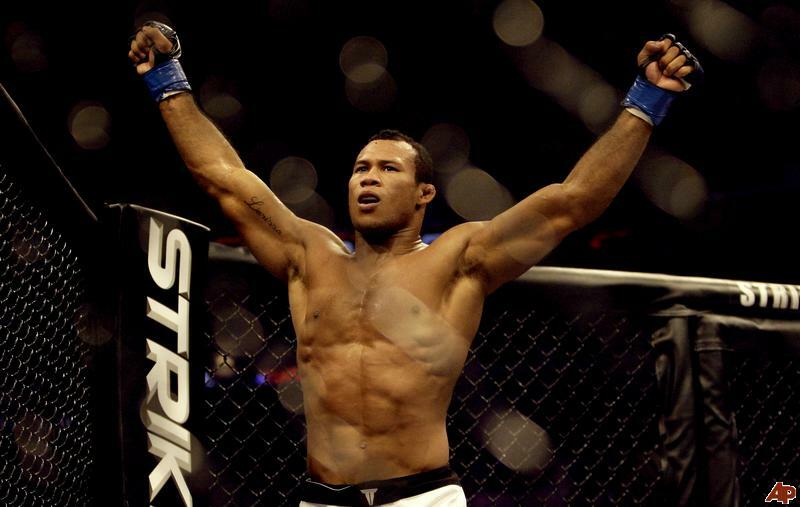 The match-ups for Roger and Jacare look to make for exciting fights. We will see.